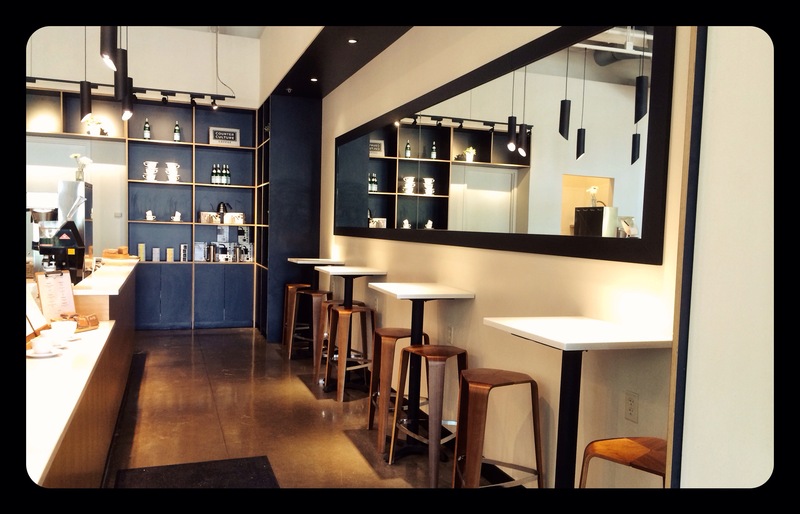 CloverDrinks: Glassbox Coffee & Juice in Ann Arbor | Clover Eats! This month, my fiancé is working in the ICU, and I’m taking a break to study for my boards. He leaves at 6 in the mornings and sometimes doesn’t get home until 10, so it feels like my undergrad days, when I was living by myself. It’s actually been really peaceful to spend my mornings at home, with the cats following me around everywhere, studying at my desk with my laptop and a cup of coffee. However, by afternoon, I get antsy and go out looking for somewhere fresh to study. 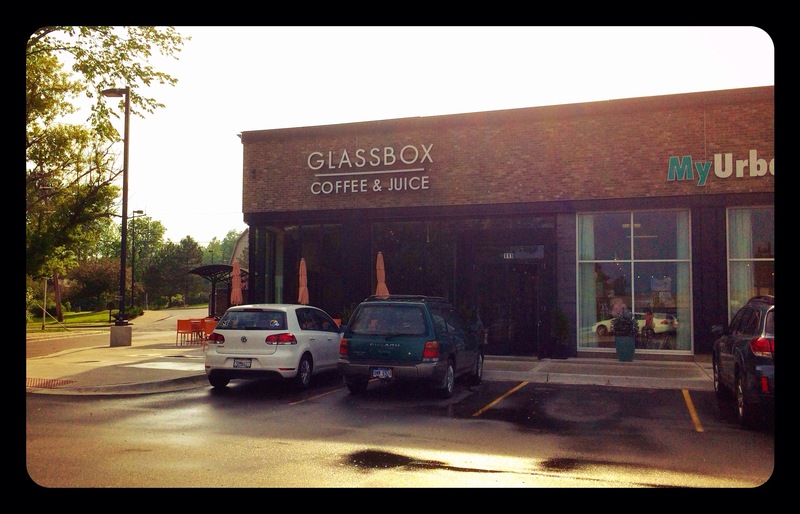 On one of these afternoons, I found Glassbox. It’s in the Arbor Hills Crossing little mall on Washtenaw, so there’s always parking to be found. 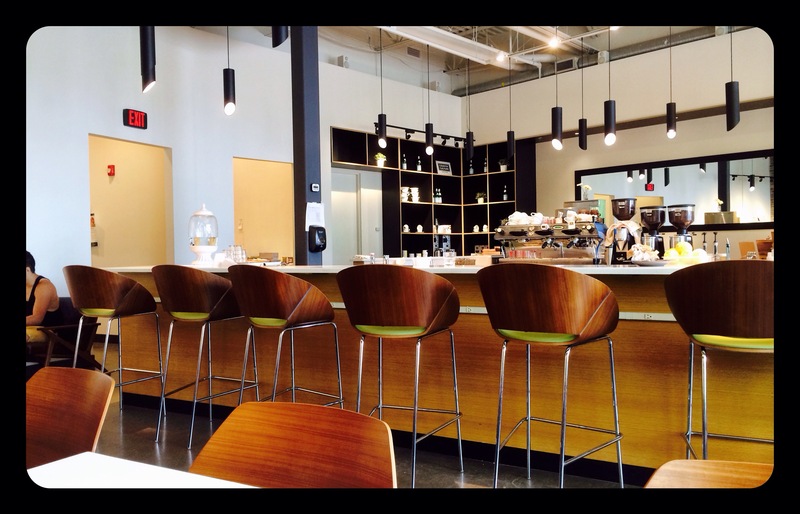 I love the wide open space of Glassbox. The modern furniture, the high ceilings, the giant windows. The wifi is speedy, and my drink, although a hefty $6.50, was smooth and delicious. I got the “Whey Too Strong,” which has oranges, strawberries, almond milk, banana, and of course, whey protein. My friend Jenny got a KGB, with kale, ginger, basil, cantaloupe, and pineapple; at first I thought this would be gross, but it was actually really delicious. Somehow, the flavors were really complex, with each sip’s taste changing over time – as I focused, I could pick out the ginger, kale, basil, cantaloupe, it was an amazing experience that you usually only get with fancy cocktails. I also got a cosmic pie that was literally out of this world – the cream inside it tasted fresh and light, and made me never want to eat a Hostess version ever again. They make some food as well – I’ve had a kale salad that made me feel like I was being super healthy, and thus not guilty for eating a cosmic pie. My only complaint was that most of the seats are underneath the vents, so it can get breezy and cold when studying for long periods of time, but otherwise, I love the place. I can’t really drink coffee in the afternoons if I want to sleep at all, so an evening juice is the perfect alternative that gives me enough zing to power through a chapter or two. I just realized it’s Friday the 13th! It’s also a $15 Feline Friday at the Huron Valley Humane Society. All of our cats are adopted, and there are tons of cats and kittens looking for forever homes. 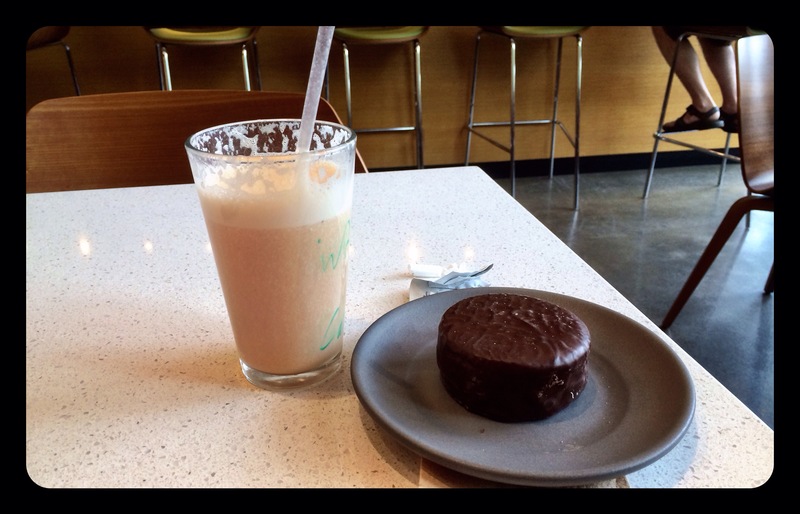 Anyway, I really love Glassbox, and have been back quite a few times despite just finding them recently. Check them out at their website or on Yelp! Thanks, Lu! I love your recent posts about Louisville, the food looks so delicious! 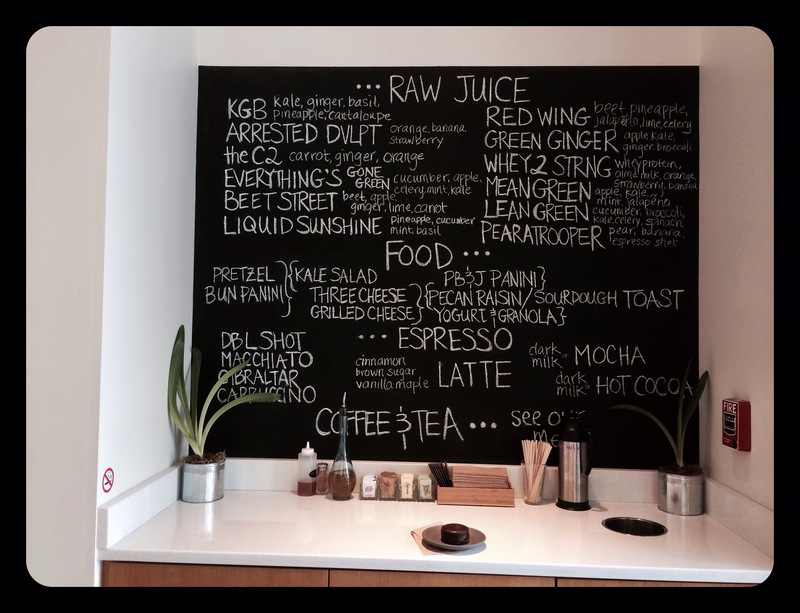 Pingback: CloverDrinks: Peeled Juice Bar in Evanston | Clover Eats!